I’m a Postdoctoral Associate and Moore Data Fellow in the Weecology Lab at the University of Florida. The goal of my research is to understand how complex systems, specifically ecosystems, change over time. I develop new methods for analyzing time series and apply these methods to observational datasets in order to answer questions about what is occurring in the underlying systems. What components of ecosystems are changing and how fast? How do different processes interact to produce patterns across temporal, spatial, and taxonomic scales? What ecological properties are predictable and how well? How do we best build causal models of mechanisms to guide forecasting and management? I also believe that academia needs a cultural shift to be more welcoming, inclusive, and accessible; and that these aims overlap with support for open and reproducible research practices. To achieve these goals, I support changes to institutional policies, better student support and training, and work to better understand and deconstruct existing biases and prejudices. Agenda Resources Installation and Setup Backup option Data Formats Determine embedding dimension using Simplex Projection Identify nonlinearity using S-map Multivariate Models Convergent Cross Mapping Surrogate Analysis with CCM Extra topics These are the notes for the rEDM tutorial I gave at the November 13-15 Nonlinear Dynamics and Fisheries Workshop at the NMFS Southwest Fisheries Science Center in Santa Cruz. Agenda Time 900-915 set up computers 915-930 data formats 930-945 simplex, plotting rho vs. While on my visit to the University of Nebraska, Lincoln, I had the pleasure of taking over Chris Chizinski’s R class on Friday (2018-11-02). 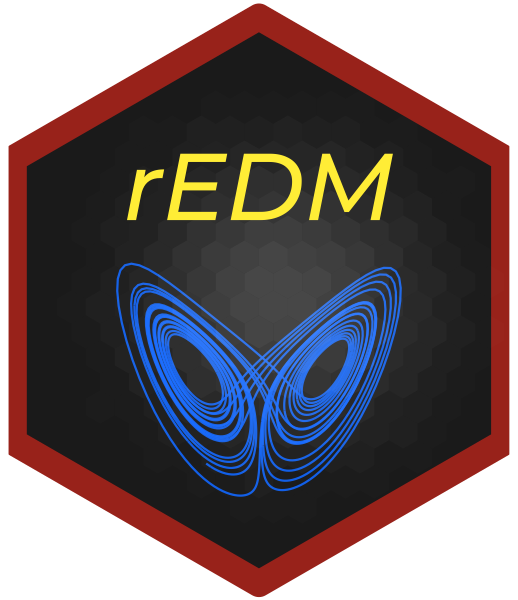 I demo’d a few things about setting up RStudio, using RStudio packages and the here package, and then walked through a workflow of doing data analysis, converting code into functions, and writing scripts and functions to be more accessible for readers. For reference, here are my slides. For my rEDM package, I’ve been using the pkgdown package to build a website comprising all the documentation and vignettes, for easy reference from a web browser. The normal workflow for this is something like: Make updates to the package. Run pkgdown::build_site() to generate the website files into a docs folder. Commit changes and upload to GitHub. Use GitHub Pages, configured to source the files from the docs folder on the master branch. Motivation What I used to do Why use an R package? How-to Guide Requirements Tutorial Setup Workflow Bonus steps Other Readings Motivation I’ve been wondering about the best way to organize (reproducible) research projects in R for a while now. I figured this might be a good spot to write up some thoughts. What I used to do Initially my projects would consist of just a few R files that separate out functions from a main script that calls the functions. Introduction Package Setup Data Forecasting Generate data to plot Figure Introduction Since I’m writing R code to make certain figures for this website, I thought I could go ahead and annotate some of it in R markdown to serve as blog posts. Package Setup library(tidyverse) ## ── Attaching packages ────────────────────────────────────────────────────────────── tidyverse 1.2.1 ── ## ✔ ggplot2 3.0.0.9000 ✔ purrr 0.2.5 ## ✔ tibble 1.4.2 ✔ dplyr 0. Erica M. Christensen, Glenda M. Yenni, Hao Ye, Juniper L. Simonis, Ellen K. Bledsoe, Renata Diaz, Shawn D. Taylor, Ethan P. White, S. K. Morgan Ernest. 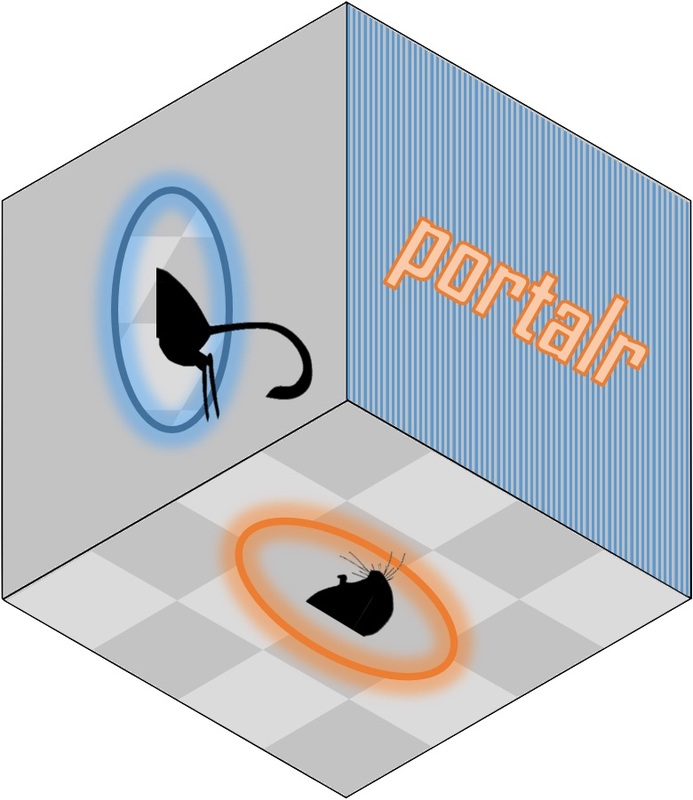 portalr: an R package for summarizing and using the Portal Project Data. In JOSS, 2019. Frank Pennekamp, Alison Iles, Joshua Garland, Georgina Brennan, Ulrich Brose, Ursula Gaedke, Ute Jacob, Pavel Kratina, Blake Matthews, Stephan Munch, Mark Novak, Gian Marco Palamara, Bjorn Rall, Benjamin Rosenbaum, Andrea Tabi, Colette Ward, Richard Williams, Hao Ye, Owen Petchey. The intrinsic predictability of ecological time series and its potential to guide forecasting. In Ecol Monogr, 2019. George Sugihara, Keith R. Criddle, Mac McQuown, Alfredo Giron-Nava, Ethan Deyle, Adrienne Lee, Gerald Pao, Chase James, Erik Saberski, Hao Ye. Comprehensive incentives for reducing Chinook salmon bycatch in the Bering Sea walleye Pollock fishery: Individual tradable encounter credits. In Reg Stud Mar Sci, 2018. Ethan Deyle, Amy M Schueller, Hao Ye, Gerald M Pao, George Sugihara. Ecosystem‐based forecasts of recruitment in two menhaden species. In Fish Fish, 2018. Masayuki Ushio, Chih-hao Hsieh, Reiji Masuda, Ethan R Deyle, Hao Ye, Chun-Wei Chang, George Sugihara, Michio Kondoh. Fluctuating interaction network and time-varying stability of a natural fish community. In Nature, 2018. Identifying causal interactions among time series. Predicting the future state of ecosystems. Dynamic quantification of stability in ecosystems. I am a certified instructor for The Carpentries and have taught at and assisted with several workshops at both the University of Florida and the University of California San Diego. In addition to teaching, I am also a board member for the UF Carpentryies Club, which organizes workshops and other events at UF. In August 2018, we organized a series of talks, career panel, and mini-tutorials as part of Research Bazaar at UF.